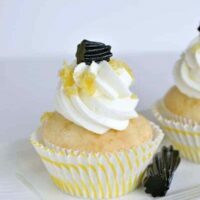 Sweet Lemon cupcakes pair marvelously with anise extract. 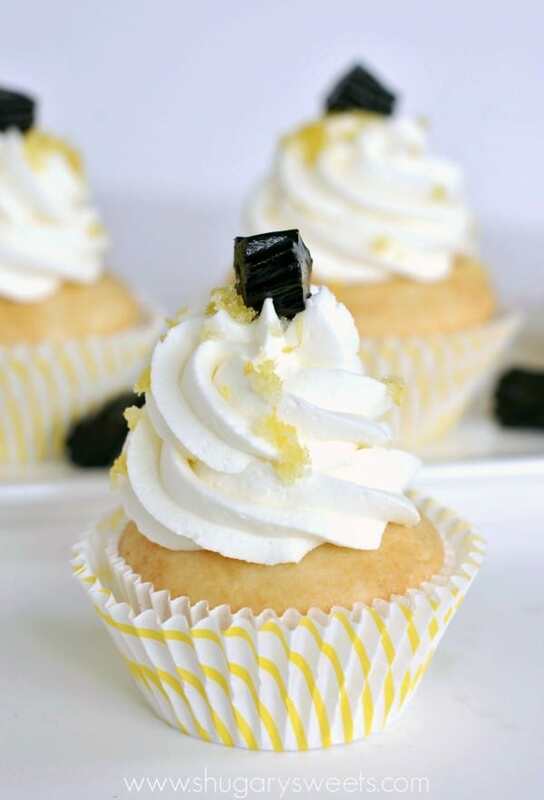 If you have a licorice lover in your family, you’ve GOT to make these Lemon Licorice Cupcakes. This is a very bittersweet post for me. Not because I’ve combined lemon and licorice (get it, bitter-sweet)…but because I’m in the process of saying goodbye. Saying goodbye is not one of my strengths. Although, that’s probably a good thing right? This is where moving gets hard. You build friendships and make connections and then it’s time to move. Granted we live in a day and age where keeping in contact is so much easier. But, being physically apart from people is hard. Especially when it’s friends that you see regularly. I’ve mentioned my friend Pilvi here on the blog (remember this Swedish Almond Cake and Blueberry Tart)? She has been my walking buddy, listening post, and Bible Study partner for several years! Her friendship (along with many others) is what has made the distance from family a little easier. Last year when I was writing my Frosting Cookbook proposal, I had asked a bunch of friends some of their favorite frosting flavors. My friend Pilvi came up with today’s flavor. I find it only fitting, that as I say goodbye to this part of my life, I give a special shout out to her and this awesome flavor combo! Now, I know there are a lot of licorice lovers out there like me. And I know many of you may be skeptical about this recipe. But from what I’ve learned, lemon and licorice are paired often in countries outside of the US. They are so smart. One bite of this cupcake and you’ll wonder why this flavor hasn’t taken off here yet. But I hope to change that! Have a licorice lover in your life? Give them the gift of these cupcakes. It’s the right thing to do!! In a large mixing bowl, beat butter, heavy cream, powdered sugar and anise extract for 3-5 minutes on medium high, until light and fluffy. Spoon frosting into a piping bag (I used tip 6S) and pipe onto cupcakes. In a small bowl, combine granulated sugar with lemon zest. Sprinkles over frosted cupcakes and top with a piece of black licorice. What a dynamic duo, sweet lemon & anise. I had no idea they paired so well together. And yes, my in-laws are licorice lovers and I want to treat them with these for how nice they are to me (and great Godly examples to us as parents.) Thanks for sharing! What a great flavor combination! Love the added licorice, such a fun idea! My dad would ADORE these cupcakes, as he’s a huge licorice fan. Pinned! 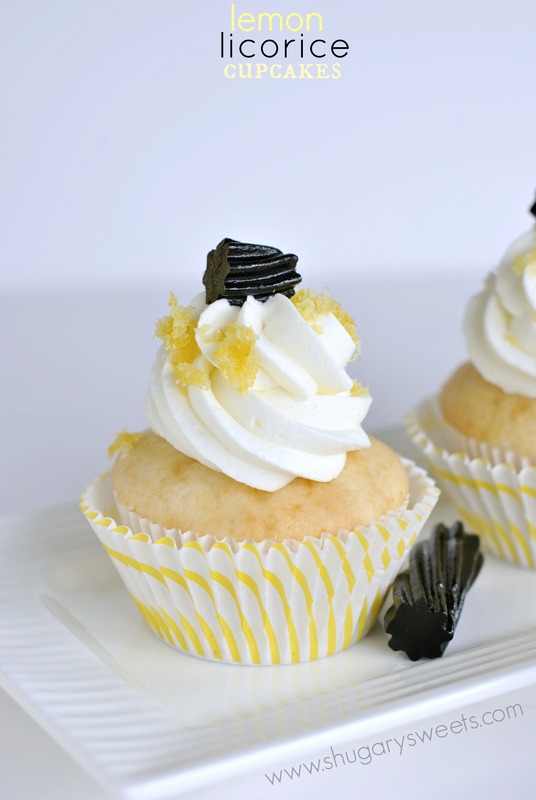 If he loves licorice, he will LOVE these cupcakes! Thanks for pinning. Aw, saying goodbye is so hard! I guess that’s another nice thing about blogging friends— none of that sad stuff since we all live far away anyway!! These cupcakes— I mean, what the?!? Who knew these would be a yummy pairing??? SO CREATIVE! I’m a licorice AND lemon lover, so I definitely need to try this! Moving is so hard. I grew up in a military family and I don’t think I ever got used to it. I’m not a black licorice person, but color me intrigued! I’ve never even thought to do a cupcake like this! My dad is not a super sweets person, but I bet he would LOVE these. Definitely bookmarking them for the next “dad” holiday! I know how hard moving can be, but you will have new adventures to blog about! 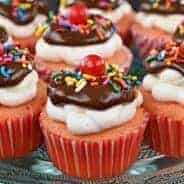 your cupcakes look great, I had never thought to add licorice! They are just too cute. Love lemon and licorice. I bet they’re awesome. Have an awesome day Aimee! I hope you love them! They definitely had people talking 🙂 And asking for the recipe! My mind is totally reeling right now. Licorice and lemon?! I need to try this now! I’m sorry about leaving your buddy. You’re so lucky to have her in your life! I am very lucky 🙂 And yes, you do need to try this combo!! 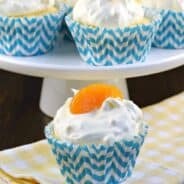 These cupcakes are what I want for breakfast! They look so perfect and darn cute too! Moving is tough, but I hope things at your new house will be wonderful too! This is such a creative cupcake flavor! Saying goodbye and moving is definitely hard. But yay for social media and technology for keeping in touch with everyone. And lucky you, you are moving back where you came from. I’m sure the people there are so excited to have you coming “home” to them. And of course I’m sure part of that excitement is for awesome desserts like this! I do love black licorice, so I am super intrigued by these gorgeous cupcakes! It’s tough having to say good-bye but hopefully you will still be able to keep in touch. These cupcakes look fantastic and the lemon and licorice combo is so creative! What a sweet and wonderful treat that will always bring great memories of a lifelong friendship. Beautiful post in more ways then one. I am so intrigued by this combo! There’s nothing like a best friend! 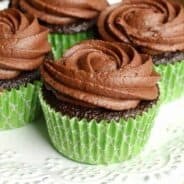 I love black licorice and I’ve got to try these cupcakes! These look delicious and they’re so pretty, too! I am so sorry that you are ending your blog. I’ve enjoyed many of your posts. I want to wish you the best of luck with your move and new adventures. My mistake! Good luck with the your move. I know it’s hard thing to do. I moved myself about 6 mos. ago, from an area that I lived in for almost 50 years. Wishing you the best with your new adventure! At least the internet has no distance, so we still get to “see” you all the time!! My mom loves black licorice, she would flip over this combo! !